Automatic placement machines are used e.g. in the production of printed circuit boards. The printed circuit boards are placed on a longitudinally movable slide. The gripper of the placement robot places electronic components on the printed circuit boards. In the application, the bearing of the sliding guidance was achieved with 2 maintenance-free sliding strips made from the material KS PERMAGLIDE® P10. The slide glides smoothly and jerk-free on the strip and can thus be positioned extremely precisely. 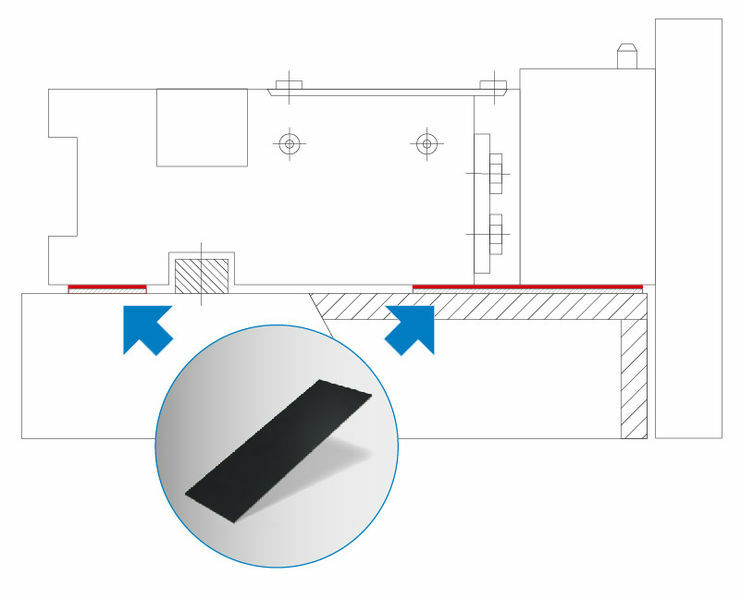 The jerk-free and low-noise operation of the slide is guaranteed by the low friction value and the good sliding properties of the P10 sliding strips. KS PERMAGLIDE® P10 is suitable for dry running, meaning that the surrounding area is not soiled by lubricant. The bearing with strips requires minimal installation space. A simple design is achieved by sticking the strips onto the frame.